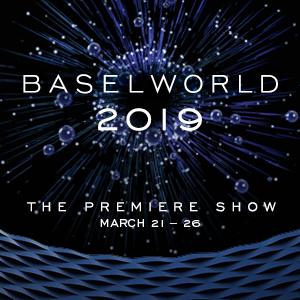 From the 21st to the 26th of March 2019, Baselworld, the world’s leading show for watches and jewellery, will once again unite the most important brands, buyers and media representatives for the industry’s major annual event. The watchmaking flagship brands like Rolex, Patek Philippe, Breitling, TAG Heuer are present at Baselworld 2019 as well as the industry leaders in jewellery and gemstones like Chopard, Bulgari, Chanel, Gucci – many of them represented exclusively and with numerous innovations. Be there when the world’s most important watch and jewellery brands present their latest innovations and creations.